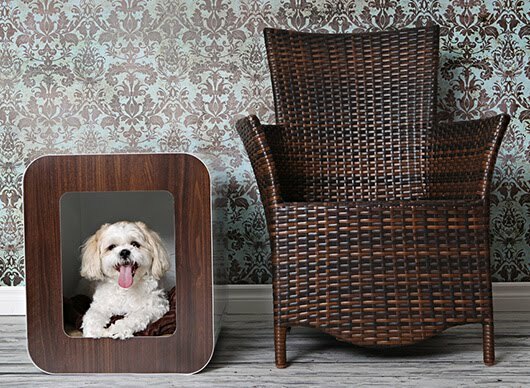 If It's Hip, It's Here (Archives): Kooldog House, A Contemporary and Stylish Indoor Home and Crate For Your Contemporary and Stylish Dog. 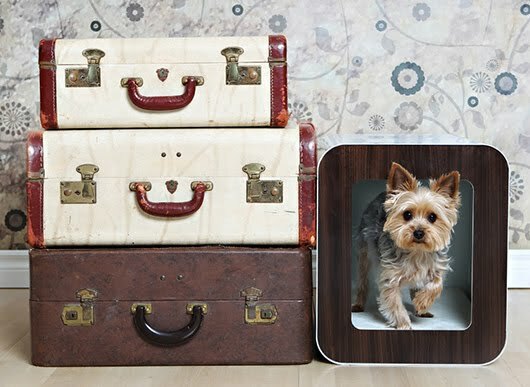 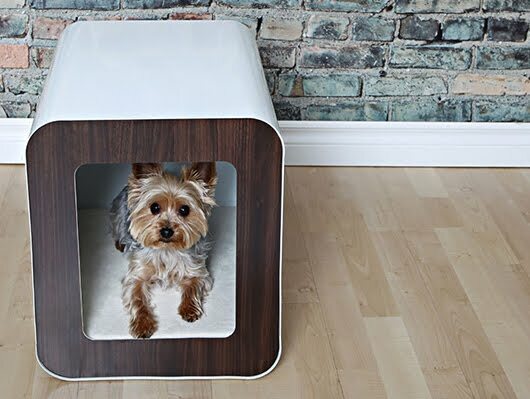 and Crate For Your Contemporary and Stylish Dog. 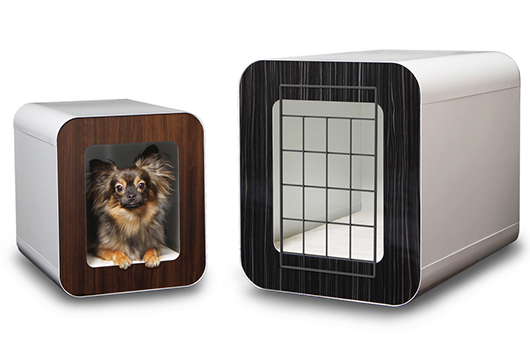 The Kooldog house is about as contemporary as an indoor dog house gets. 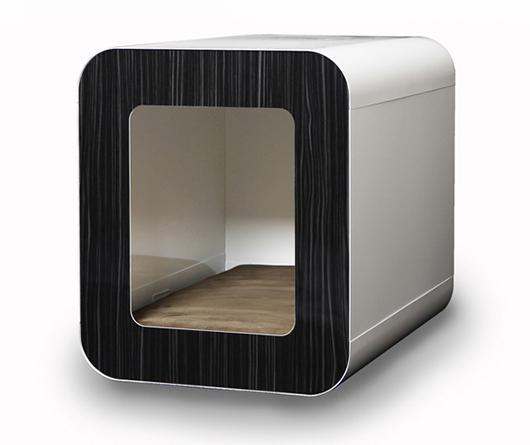 A simple modern shape in two sizes that has various choices of wood laminate finishes, washable micro suede covered foam cushions in three different neutral colors and the option of a crate door. 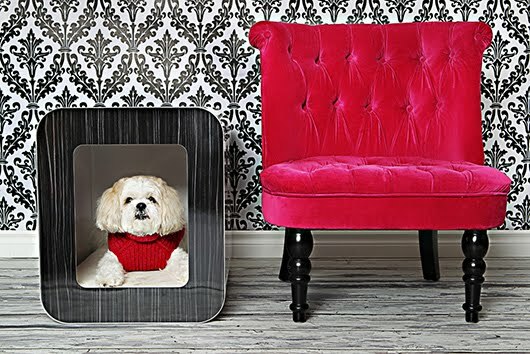 Comfortable for your pet and fashionable for your home décor, the patent pending Kooldog House is made of durable powder coated metal that can be wiped clean with a damp cloth and mild cleaner. 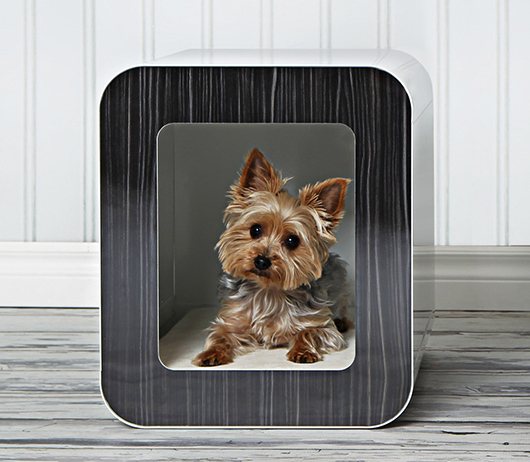 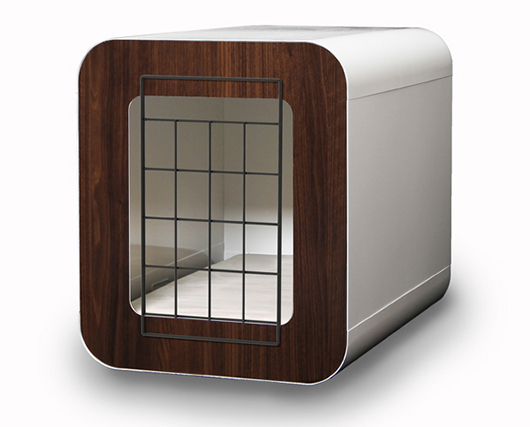 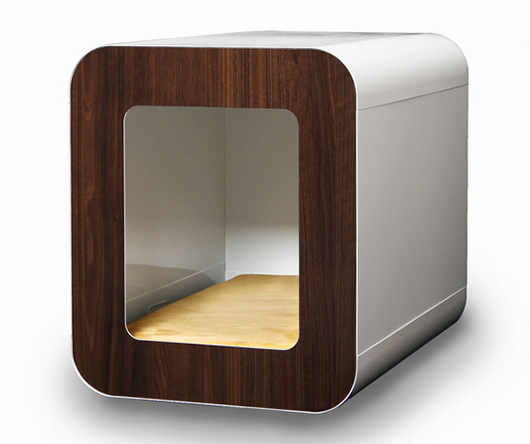 Stylish and sleek, it provides a cozy home for your dog with a simple silhouette that fits in any style home. 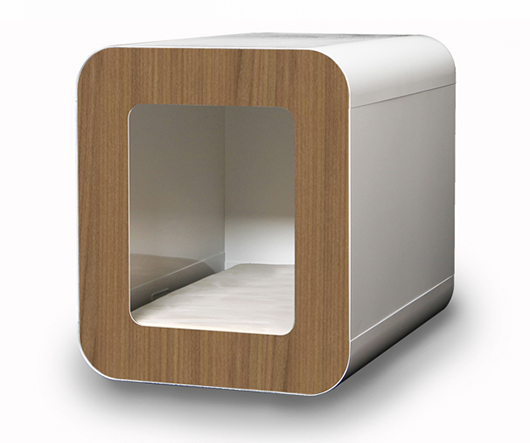 Wood laminate veneers are available in Madagascar, Colombian Walnut or River Cherry and the cushions come in taupe, camel or natural. 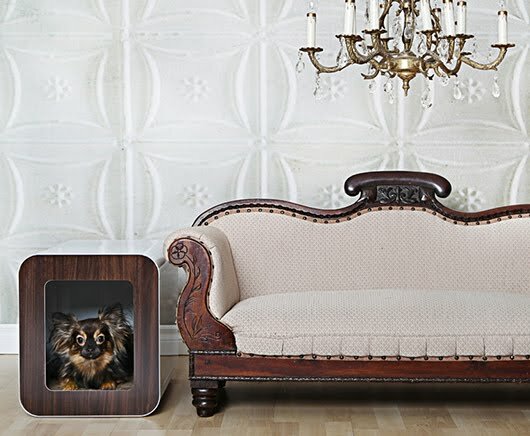 You can mix and match the laminates and cushions any way you choose. 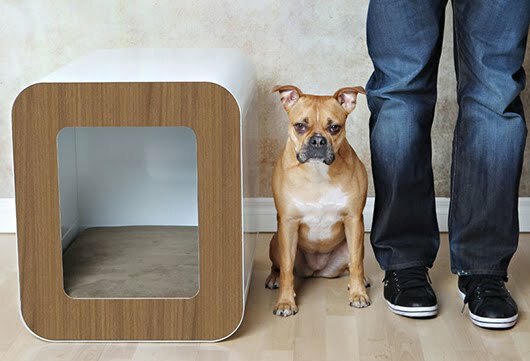 The images below are just some options.